Brian grew up in New Jersey, and moved to Utah in 2008 where he graduated from Westminster College with a degree in Marketing. 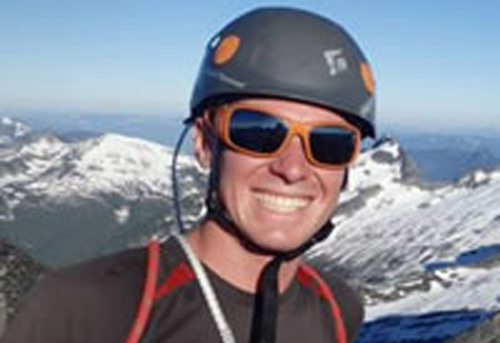 He has been guiding since 2009, works in Ski Mountaineering, Alpine Climbing, and Canyoneering. Guiding has taken him around Utah, Washington, Alaska, Yukon, British Columbia, as well as internationally to Tanzania, Nepal, and Argentina. In the winters, Brian works for Snowbird Ski Patrol, and in his time off he enjoys personal ski mountaineering trips in various locations.